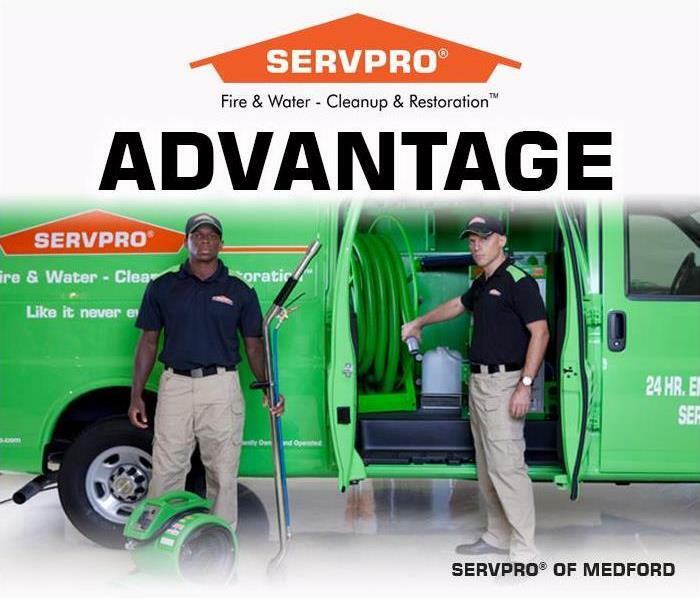 In addition to our reputation as a trusted leader in the property disaster restoration industry, SERVPRO of Southwest Brooklyn offers Commercial Cleaning Services to keep your business looking it's best. Spring is a great time to spruce up your commercial property's appearance, SERVPRO of Southwest Brooklyn provides commercial cleaning services to keep your Brooklyn or Queens organization looking its best and mitigate future property damage. Scalable Cleaning Services: The Seasons can bring dirt and debris into your commercial property. An intensive deep cleaning of your small business or corporate offices will benefit morale and productivity, with a clean and healthy environment.? Deep Clean the Flooring: The Seasons can cause extreme wear and tear and a dulling on commercial flooring. A deep cleaning will revitalize tile and carpeting, prolonging life-span and avoiding expensive replacement costs.? Power Wash: Seasonal weather can be tough on your building’s exterior, concrete and pavement, make sure all roof and exterior walls, pathways, patios and parking lots are clean and in good repair. Replace, repair and power wash all hardscaping to keep it aesthetically pleasing and prolong its life-span.? Get Your Commercial HVAC System cleaned and inspected for the Spring and Summer: A well-maintained Commercial HVAC will run at peak performance and can prolong the lifespan of the system.? Our trusted and highly-trained IICRC certified disaster restoration crews use the latest technologies and techniques in commercial cleaning to provide a healthy Brooklyn or Queens work environment for your employees and customers, we keep your building looking its best. We offer a wide range of janitorial services including ongoing maintenance, specialty and seasonal, project-based and annual cleaning services that are scalable to meet your changing needs. 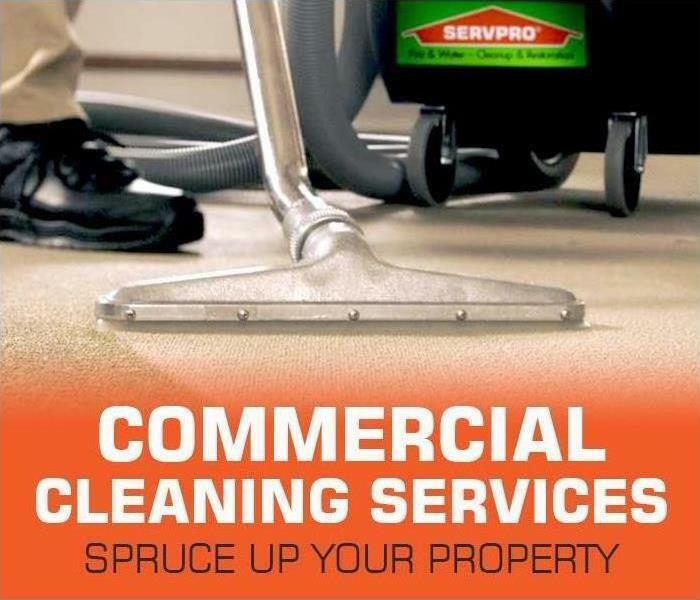 Regardless of the size of your commercial property or the scope of services needed, SERVPRO of Southwest Brooklyn offers detailed and comprehensive commercial cleaning services to fit your needs, carpet and floor cleaning, window and pressure washing, air duct and HVAC cleaning we can create a custom commercial cleaning solution based on your priorities, facility, and budget. Our SERVPRO Storm Property Restoration Team has the experience and resources to handle your Brooklyn or Queens weather related water property damage. It’s critical to take quick action following a flood or storm water intrusion to your local Brooklyn or Queens home or business. Call our Brooklyn and Queens Storm Damage Cleanup, Restoration and Repair team. If it’s a roof leak, exterior damage, a cracked foundation or basement flooding, causing your water property damage, call our Disaster Restoration Specialists at SERVPRO of Southwest Brooklyn to begin taking steps to stop the water damage from becoming an even bigger disaster. Our professionals first assess the severity of the situation and determine the full extent of the storm, flooding or additional water damage. Restoring your home or business quickly, takes specialized equipment and highly skilled IICRC professionals. Our team closely inspects the flooded or other water damaged areas; measuring the moisture content, humidity and temperature to assess the full extent of the damage. They provide a step-by-step solutions to restore and repair your local Brooklyn or Queens property and contents to help minimize additional damages, we provide services to Flatbush, Coney Island, Jamaica, Bay Ridge and Howard Beach. Our SERVPRO of Southwest Brooklyn Storm Property Restoration Team has the experience and resources to handle your weather related water property damage quickly and professionally. We know what comes next after your property suffers a disaster storm water damage and we are prepared 24-7 with Emergency help to repair your home or business when you need us! Call our Brooklyn and Queens Storm Damage Cleanup, Restoration and Repair team. Spring is here, now is the best time to check for water and mold property damage caused by Winter storms and temperatures. Winter weather can be hard on your residential or commercial property perform a Spring Property Inspect for water or mold damage. 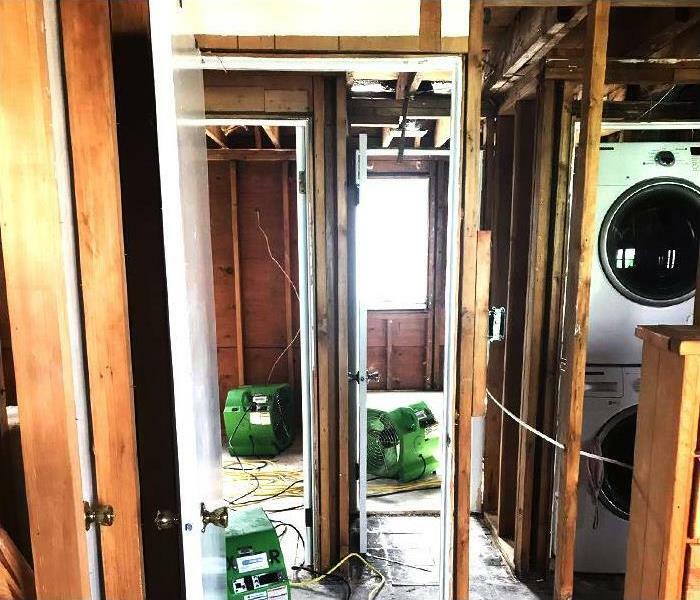 SERVPRO of Southwest Brooklyn responded to a local Brooklyn or Queens property that suffered a water damage disaster indoors due to winter weather and water intrusion. A roof leak went undetected for some time, causing significant water intrusion and secondary damages from the top down. Our professional SERVPRO service technicians were onsite quickly to treat the water and mold damage to the roof, walls and floors. The drying process was started by placing large commercial drying equipment in the area. Once the area is dry, the restoration and rebuilding process could begin. Winter weather can be hard on your Brooklyn or Queens residential or commercial property be sure to look for problems that frigid temperatures, snow and ice may have caused. Winter storms are accompanied by lots of moisture – snow, freezing rain, ice, hail and wind – come together to create common issues like ice dams, frozen pipes and frost heave that may cause damage to your home or business. SERVPRO of Southwest Brooklyn is always ready to respond to your Williamsburg, Flatbush, Coney Island, Sunset Park or Jamaica property damage restoration needs quickly, and we can begin the restoration process immediately. Our local disaster restoration services include an inspection and assessment of the damaged areas, water removal/water extraction, drying and dehumidification, cleaning and repairs, restoration and building as necessary. There are several common problem areas to inspect during spring for potential damage, including your roof and gutter system, foundation and yard, plumbing system and your property’s exterior. From the top down these areas could see potential damage from the worst that the winter elements can bring. Another vulnerable system in your Long Island home or business that could be damaged from cold winter temperatures is your plumbing. To adequately deliver water to and from your sinks, boiler, and spickets your plumbing system keeps the water forever flowing. However, during cold winter days and nights cracks and stresses can occur and eventually lead to leaks and pipe breaks that can have a damaging effect on your local commercial or residential property. Remember to survey your pipes regularly for cracks and leaks, paying closest attention to the pipes that are closest to the elements or in poorly insulated areas such as the basement or crawlspace, or outside walls and attics. Take this opportunity to add some additional insulation as a precautionary measure for the future winter weather to come. 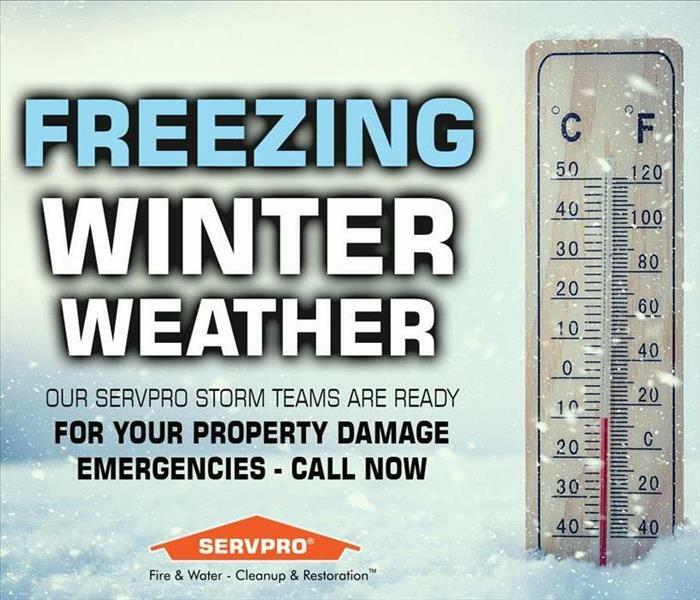 Effective Winter Storm Restoration: Our SERVPRO team has the answers to your property damage repair concerns. Frigid winter weather and Blizzard conditions can cause BIG problems for Brooklyn and Queens home and business owners. Frigid winter weather and Blizzard conditions can cause BIG problems for Brooklyn and Queens home, apartment and business owners; restore your property damage with our SERVPRO of cleanup and restoration team. As we settle in for what may or may not be an arctic cold and blizzard filled winter, it makes sense to review some basic steps to help shield your Brooklyn or Queens home and family or your business and employees from the worst that Northeast Winters can offer. Cold temperatures, snow, ice, blizzard conditions with high winds and dangerous wind chills all contribute to the possible threat of a Williamsburg, Flatbush, Sunset Park or Jamaica residential or commercial property disaster. Whether it’s a burst plumbing pipe or your water heater, an electrical fire or your furnace or fireplace has a puff back, winter poses a serious threat to your home or business from a fire, smoke, water or sewage property damage event. Did your Brooklyn or Queens home or business experience a pipe break over the last several weeks during the arctic blast that hit the Northeast? When Brooklyn or Queens winter storms are coming to Ozone Park, Brighton Beach, Bay Ridge, or Park Slope it’s important to be prepared, our SERVPRO teams are ready and always prepared to handle any size property disaster. Calling SERVPRO of Southwest Brooklyn after you experience water damage from ice dams or basement flooding from ice buildup or excessive snow melt, can be the difference from a quick cleanup and mitigation or costly restoration, construction and mold remediation services. Northeast Winter Storms can bring any number of potential hazards to your Brooklyn or Queens commercial or residential property, including fallen tree limbs, hail, blizzard winds and heavy rain and snow. Your home or business is at risk from a collapsed roof, or frozen pipe burst, once a significant amount of water from flooding or moisture affects your home or business, problems from water damage can start to occur. It’s critical to take quick action and call our SERVPRO of Southwest Brooklyn team to begin taking steps to stop the damage from becoming an even bigger disaster. Our professionals first assess the severity of the situation and determine the full extent of the storm, flooding or additional water damage. Restoring your home or business quickly, takes specialized equipment and highly skilled IICRC professionals. Our team closely inspects the damaged areas; measuring the moisture content, humidity and temperature to assess the full extent of the damage. They provide a step-by-step solution to restore and repair your property and contents to help minimize additional damages. Our SERVPRO of Southwest Brooklyn Storm Team has the experience and resources to handle your winter weather property damage quickly and professionally. We know what comes next after the storm and we are prepared 24-7 with Emergency help when you need us! Call our Cleanup, Restoration and Repair teams @(718) 375-2388. We offer 24-hour water and sewage damage cleanup and restoration services, excellent customer service, and expedient remediation. 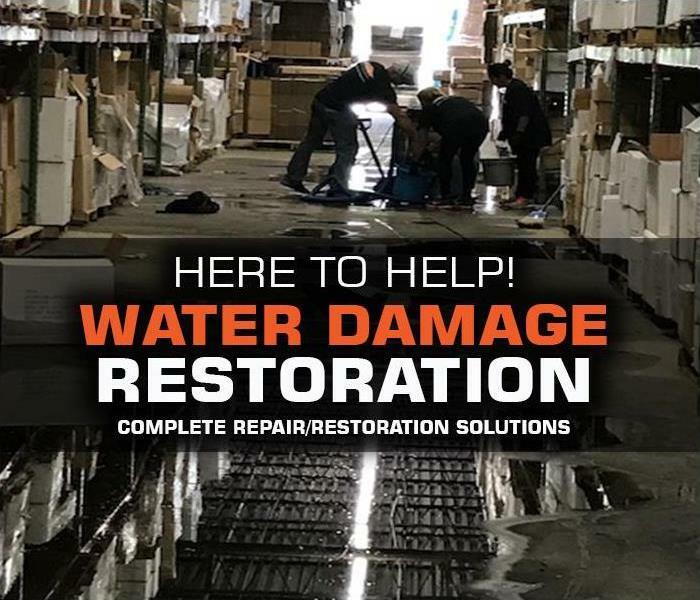 SERVPRO of Southwest Brooklyn has helped countless local Brooklyn and Queens business owners with emergency commercial water removal services following invasive, problematic water damage issues that have threatened to halt normal business operations. SERVPRO is a trusted leader in emergency property restoration and cleanup situations of any type or magnitude. Our water mitigation and restoration professionals care about your employees' health and business operations, they work efficiently and quickly to restore your property, “Like it never even happened.” We know how important your time is, our goal is to help you stay open, operational, and in business. If you find that your office, warehouse, restaurant or other commercial property in Williamsburg, Flatbush, Sunset Park or Jamaica has experienced water or sewage damage, from broken plumbing, flooding, roof leaks or other types of water damage the most effective solution is to hire a restoration company like SERVPRO to begin the cleanup, repair, and restoration process. When your Brooklyn or Queens home or business suffers a water damage, understanding what type of water you are dealing with is critical to ensuring proper cleanup. We offer 24-hour services, excellent customer service, and expedient remediation work that return your home to a safe, sanitary condition. As a locally owned and operated business, Our SERVPRO of Southwest Brooklyn teams are close by and ready to respond to your water and flood damage emergency. As leaders in the water damage industry, we have advanced training and expertise, not to mention a tremendous amount of hands-on experience. Getting your commercial property back in order doesn’t have to be a total loss. If you are experiencing a flooded commercial property in the Coney Island, Williamsburg, Flatbush or Park Slope area, make sure to consult a local SERVPRO professional clean-up and restoration crew as soon as possible to help ensure proper and thorough cleanup. Winter weather can cause damage from top to bottom in your Williamsburg, Flatbush, Sunset Park or Jamaica home or business. Our weather patterns have become increasingly unpredictable, resulting in heavy snow and freezing temperatures one day and warmer temperatures and rain the next. Ice, freezing rain, wind and snow all play a role in Brooklyn or Queens winter property damage losses. The winter season creates the most common and costly claims for Williamsburg, Flatbush, Coney Island, Sunset Park or Jamaica home and business owners, and winter-related claims are on the rise, likely due to the severity of storms and increase in the number of people with insurance protection. Over 50% of ALL homeowner claims come from wintery wind, hail, and weather-related water damage. ROOF DAMAGE: We often take for granted the work our roofs do for us during tough Brooklyn or Queens winters, they keep us safe, dry and warm from the worst winter snow and ice storms. They bear the brunt of the elements, over time the cycle of snow and ice accumulation can have devastating effects and cause major damage to roofing materials and weaken the structural components. Excessive snow loads and weakened roofing materials from ice dams, pooling or leakage are all possible problems that can cause water to infiltrate your home or business and cause water damage. PIPE BURSTS: We also take for granted the plumbing system in our home or business we just know the water is running or in the case of a pipe freeze (not running). During the winter it gets cold and your pipes feel that too, if your pipes get too cold, the water inside will freeze. The ice can expand causing tiny stresses and breaks or a burst, when the ice melts water begins to leak and causes water property damage to your Dyker Heights, Park Slope, Manhattan Beach, Jamaica, Coney Island or Howard Beach home or business. Freezing pipes are a major concern, and a priority for our SERVPRO of Southwest Brooklyn team; learn more about how we can help. Freezing pipes account for 18% of all water damage claims, damage from pipe bursts can include flooding, ceiling collapse, floor and wall damage, contents and electronic damage and mold. SERVPRO of Southwest Brooklyn provides 24-hour Emergency Services to Brooklyn or Queens residents and business owners for fire, smoke, sewage and water and is dedicated to being faster to any-sized disaster. Our service pros respond immediately to your emergency and have the expertise to handle your restoration or cleaning needs. Artic temperatures across the Northeast have Brooklyn and Queens homeowners in Park Slope, Manhattan Beach, Bay Ridge, Flatbush or Howard Beach getting warm and cozy by their fireplaces and wood-burning stoves. It is important to remember proper maintenance and fire safety actions when starting that fire this season, for the first time and each time after. Fireplaces and wood-burning stoves pose a considerable fire threat to your home and family, a fire can result in the loss of personal items, property and even life. Taking proper precautions when using your fireplace or wood-burning stove can help you avoid a property fire disaster negatively impacting your life this winter. If you have experienced fire or smoke damage in your Ozone Park, Sunset Park, Brighton Beach or Coney Island home it is important to contact the SERVPRO team for quick and effective mitigation and restoration, depending on the surface material and the duration and time elapsed, damage from soot and smoke maybe completely reversible. Smoke and soot cleanup is expensive and time-consuming, our SERVPRO professionals take careful steps to minimize further damage from soot staining, mold and mildew, rust and corrosion and improve the air quality in your home following a fire emergency. Our trained professionals have the knowledge, skills and equipment to restore your property quickly and efficiently saving you valuable time and money. SERVPRO professionals know how important your Brooklyn or Queens home and possessions are, we take extra care in removing items, and involve homeowners during the inventory process. Make sure to notify our SERVPRO technicians of important/sentimental items, or things your family may need returned to them quickly. Contents are photographed, inventoried and packaged, and then taken offsite to our cleaning facility where they’re stored during the repairs. Since the fire cleanup process can vary, it’s common for fire- or smoke-damaged items to be inventoried and later determined as salvageable or non-salvageable. Mitigation – water restoration equipment including air movers and dehumidifiers will remove moisture from walls, flooring and subflooring. Our SERVPRO team will give advice when deciding what items and materials to clean and restored, or what should be replaced. Carpets, fabrics and other porous materials usually need special attention because they are easily ruined. SERVPRO of Southwest Brooklyn’s licensed construction team is an asset to our organization, with them our professionals can provide an additional estimate to continue your complete home restoration solutions with scheduling your repairs and reconstruction phase getting homeowners back into their property as quickly as possible. SERVPRO professionals have all the tools, equipment, and experience necessary to manage your entire Brooklyn or Queens property restoration from beginning to end. Our team work tirelessly to produce quality results from quick and effective mitigation, to putting the finishing touches on any repairs and reconstruction needed to complete the job. Property Emergencies happen every day, acting fast after your Brooklyn or Queens property damage from fire, smoke or water could mean the difference between restoring your home quickly to preloss condition or needing extensive and expensive reconstruction. We put the best people, in the best locations, and give them the best resources to give your property the BEST results. Since 1967, SERVPRO Franchise Professionals have been assisting client's fire and water damage cleanup and restoration needs across the United States, locally owned and operated, SERVPRO of Southwest Brooklyn has been helping Brooklyn and Queens residents and business owners with property losses in this community for nearly 30 years, we are able to respond quicker with the right resources, which is an extremely important component to the service advantage that the SERVPRO near you can provide. 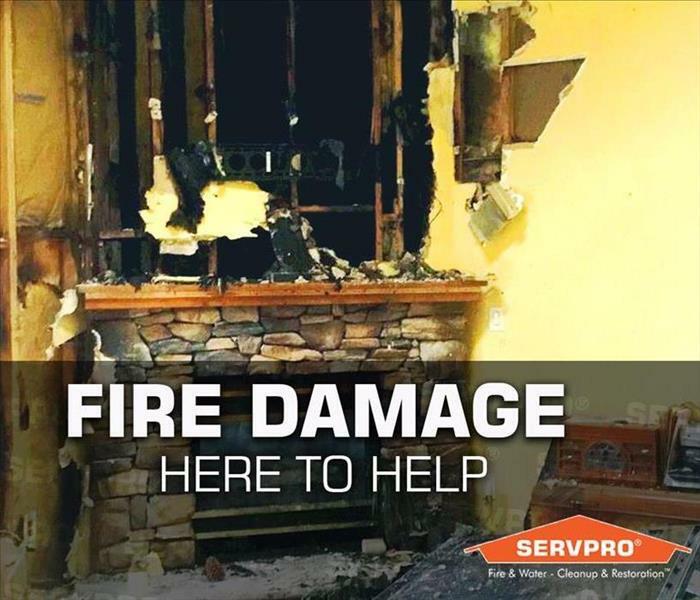 OUR Experience - Following a fire and smoke or water property damage to your home or business a courteous SERVPRO professional will lead the way. Our skilled technicians perform an inspection; checking for hazards and making a detailed list of professional services that can help restore your Brooklyn or Queens home and contents. After explaining everything in detail, our technicians get to work restoring your home. You’ll see the SERVPRO advantage with a team on site, each performing different tasks designed to reach a specific goal. At the end of our restoration process, our technicians make sure you are satisfied with the work we have done, we have corrected any existing problems and remove our supplies and equipment making sure we have achieved the desired goal of restoring your home or business. OUR Training - SERVPRO of Southwest Brooklyn’s team of highly trained employees never stop preparing. Each team member has been thoroughly trained for fire restoration, water restoration, carpet & upholstery cleaning, and mold mitigation before stepping foot inside your home or business. Our skilled SERVPRO technicians have ongoing training extending far beyond their initial IICRC training, with continued education programs and e-learning seminars and courses our technicians cultivate skills to make them more efficient with mitigation, remediation and ALL other advanced restoration techniques. We pride ourselves on providing industry-leading equipment and training to our teams to make your property damage cleanup and restoration process quick and effective. Are you looking for a reliable restoration company, SERVPRO of Southwest Brooklyn can quickly and effectively reverse your property’s fire, smoke, water or mold damage, and restore your home or business, “Like it never even happened.” Give SERVPRO of Southwest Brooklyn a call @ (718) 375-2388 we can promptly send one of our professionals to access your Flatbush, Jamaica, Park Slope or other local Brooklyn or Queens property damage and get started on your home or business repairs. 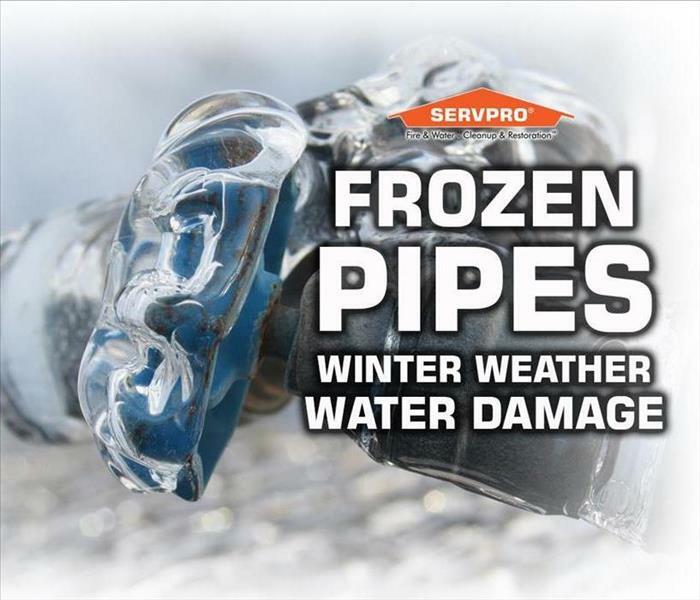 Low temperatures cause seasonal property damage including frozen pipes and ice dams, take key steps with SERVPRO to avoid a restoration disaster. We can’t control the weather frigid winter temperatures are here in the Northeast, the lower temperatures cause a new set of seasonal Brooklyn or Queens property disasters including frozen pipes, ice dams and other frozen water damage concerns. Every winter our SERVPRO of Southwest Brooklyn professionals help countless home and business owners in Dyker Heights, Park Slope, Manhattan Beach or Bay Ridge with the restoration, cleanup and repair of their property following a frozen water property disaster. Brooklyn or Queens residential and commercial plumbing pipes are typically protected in insulated spaces reducing the risk of freezing, however pipes that run through exterior walls or those that run through uninsulated or under-insulated spaces can freeze. A frozen water property damage event including a frozen pipe burst is especially likely during days and weeks of extended subfreezing weather, or when pipes are in high risk locations for example in cold areas caused by poor insulation, cracks in the walls or foundation, or around entry points commonly found in basements and crawlspaces. Frozen water pipes and the damage they can cause are a reality for thousands of Brooklyn, Queens or Manhattan home and business owners each year. Frozen pipes can often lead to water damage from leaking water or flooding. Water damage can be very intrusive it can cause obvious surface damage but can easily penetrate all the porous materials in your home or business and additionally cause structural damage and mold growth. When moisture meets your property the initial water damage to your home or business and the contents are considered primary issues, with prompt mitigation and repairs by our SERVPRO of Southwest Brooklyn teams, almost all primary issues from water and flood damage can be reversed, avoiding the need for additional costly restoration. However, any continued damage due to rising humidity and prolonged exposure to water or water-soaked materials is considered secondary damage. Water damage that sits for just 24 hours will begin to carry a higher risk of permanently damaging your property, flood and other water damage that goes untreated for longer will almost always result in serious and lasting damage. The key to avoiding costly secondary damage is to handle every water problem as a real threat to your property with proper mitigation. Our SERVPRO of Southwest Brooklyn teams have the equipment, training and experience to find and dry unseen water before secondary damages occur. We begin removing the standing water from your property with extraction methods, and rapidly dry your structure and contents with dehumidifiers that lower the indoor humidity levels, so your building dries out quickly. When time matters, technology and equipment must be counted on to perform. SERVPRO of Southwest Brooklyn professionals will answer your call with rapid action and a full arsenal of drying equipment. When winter temperatures drop below freezing, the water flowing freely in pipes throughout your home or business have the potential to freeze. When your pipes burst from freezing water, getting the water out fast is our highest priority. Our SERVPRO of Southwest Brooklyn team comes ready with all the necessary equipment to get it done quickly because we want to prevent it from causing further damage to your property. We have years of experience in dealing with Brooklyn or Queens residential or commercial water damage, and we know what it takes to restore your Williamsburg, Flatbush, Sunset Park or Jamaica property, "Like it never even happened." If you have water damage to your Brooklyn or Queens home or business give us a call, we are always here to help! Link: News 12 – Recommendations on how your Brooklyn or Queens property can survive winter. 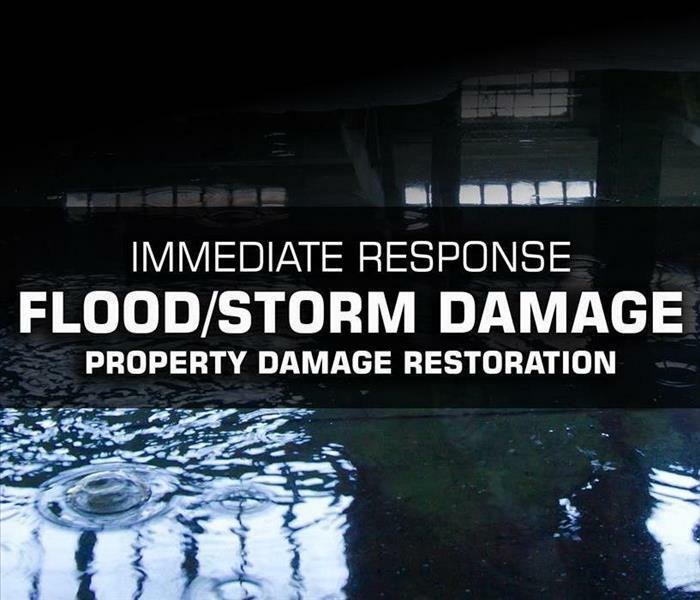 For more INFORMATION ABOUT RESTORATION AFTER A FROZEN WATER PROPERTY DAMAGE... Connect with us on Facebook! Prevent a frozen water damage event in your home this winter. SERVPRO of Southwest Brooklyn professionals specialize in the cleanup and restoration of Brooklyn or Queens residential or commercial property after a frozen water property damage emergency. Our SERVPRO of Southwest Brooklyn staff is highly trained and experienced in the cleanup and restoration of your frozen water property damage from frigid Northeast temperatures. Our team can respond quickly and help you assess your damage and find a restoration solution that you can trust. Ice dams occur after a Brooklyn or Queens snowfall and several days of freezing temperatures, common weather conditions in the Northeast during Winter. Warm air inside your home leaks into the attic and warms the underside of the roof causing snow and ice to melt. The melted water refreezes on the cold overhang and can form icicles and an ice dam on the roof and gutters. This process can cause damage to the roof which can cause water to leak into the home causing water damage to the ceiling, walls, insulation and other areas. Wet basements are a common occurrence for many homeowners on Brooklyn or Queens, the impact of heavy snow, ice and rain on saturated soil often leads to water leaks, flooding and other types of basement and foundation water damage. Wet basements can lead to significant structural damage, destroy furnishings and other belongings and commonly lead to elevated mold and humidity issues. 4/1/2019 - Spring is here, now is the best time to check for water and mold property damage caused by Winter storms and temperatures. 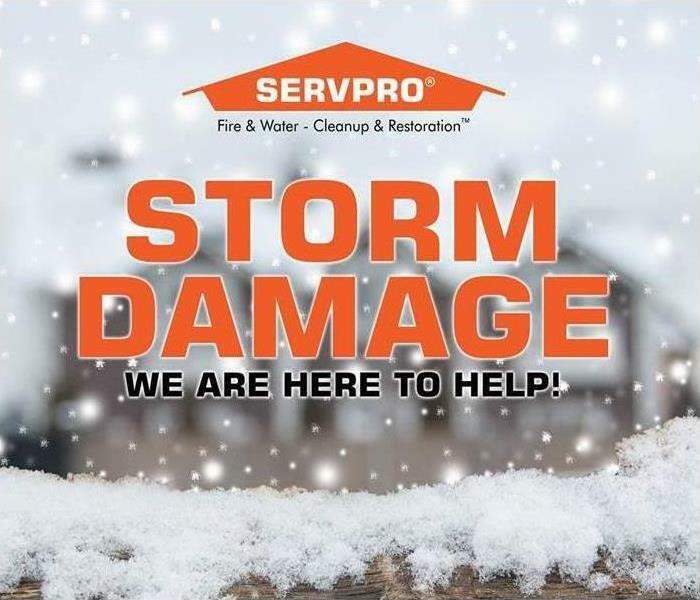 2/25/2019 - Effective Winter Storm Restoration: Our SERVPRO team has the answers to your property damage repair concerns. 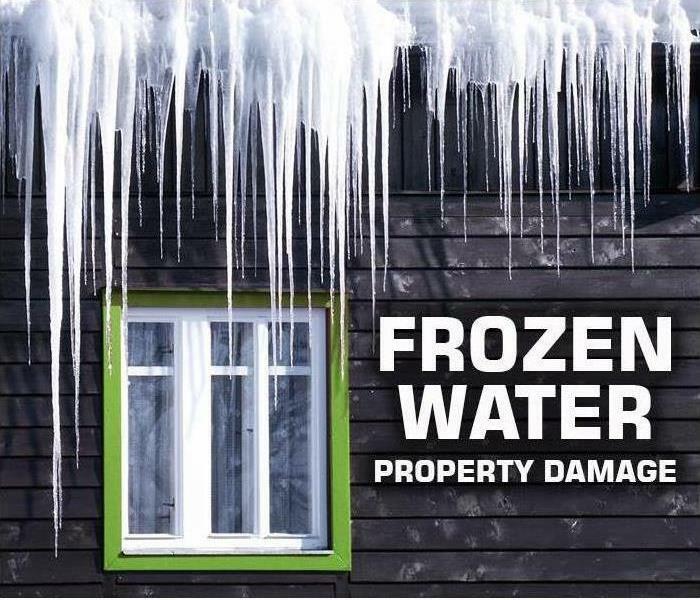 1/7/2019 - Prevent a frozen water damage event in your home this winter.